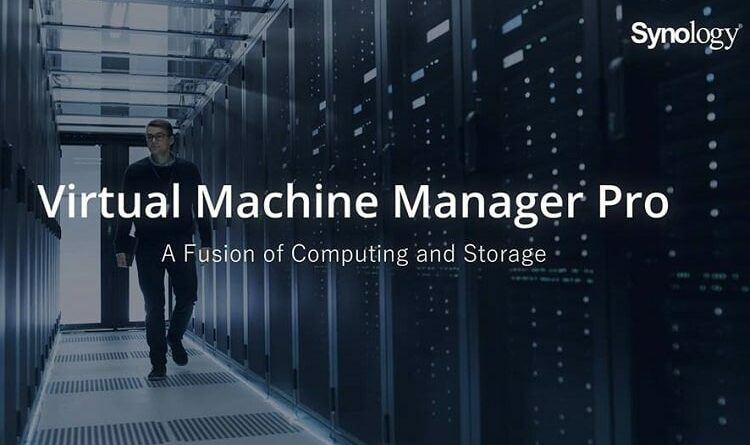 Synology has announced the official release of Virtual Machine Manager Pro, adding more powerful tools for managing and protecting virtual machines running on the company’s series of network-attached storage products. The Virtual Machine Manager allows the user to set up and run various virtual machines including Windows, Linux, Virtual DSM, on one Synology NAS. Virtual Machine Manager allows users to virtualize different services and resources, but also back up virtual machines using the data protection tools, such as the ability to complete virtual machine snapshots and replication in just a few seconds. The brand new Virtual Machine Manager Pro introduces more management tools that aim to enhance work efficiency and bring a greater level of data protection. The new clustering feature enables businesses to manage virtual machines that are scattered across different Synology NAS using a single interface, making it easier to allocate resources and schedule snapshots or remote replication. The high-availability architecture aims to alleviate service disruption and maximize the uptime of the virtual machine thanks to the hassle-free setup process. Cluster infrastructure: With Virtual Machine Manager, users can create a cluster infrastructure with up to seven Synology NAS. Virtual Machine Manager Pro enables migration and flexible scalability for load balancing and resource allocation. Fully protect your virtual machines: Snapshot features and protection plans provided by Virtual Machine Manager enable users to clone and restore virtual machines within seconds. Live migration: Virtual Machine Manager makes it possible to seamlessly migrate virtual machines from one Synology NAS to another. Users can even store their data on a third machine, allowing them to avoid potential service interruptions. High Availability: Virtual Machine Manager’s high-availability feature provides a cost-effective method to enhance service availability. In the event of server failure, affected virtual machines are automatically restarted on other NAS in the same cluster.